What is the Cloud? What services do I need? What services will I use? Will it cost me more or less money for the same services, applications, and support I currently have? How do I go about moving to the cloud? The cloud is ubiquitous, yet there are so many questions related to it. There is no all in one solution, each business is different, and therefore your cloud needs are all different too. Consulting and Professional Services: We help you assess your applications and data for cloud. 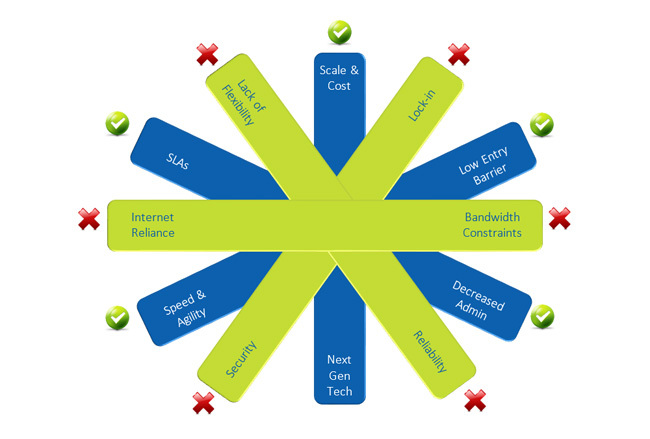 We plan the optimum deployment model, considering physical, virtual, cloud, or hybrid options. We plan the change, and provide the people to carry out the actual migration. Once in place, we optimize performance and cost-benefit, and ensure compliance with governance and policy. 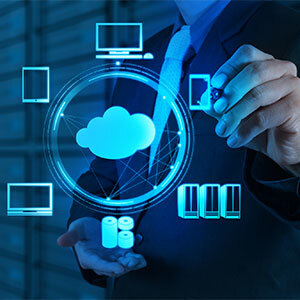 Private Cloud: Dedicated to each client and delivered as-a-service from your data center or ours, it’s a cost-effective, rapid implementation alternative to building your own private cloud. Public Cloud: Public cloud will satisfy even the most demanding enterprise users with a network-centric design, multiple layers of security, and high availability. 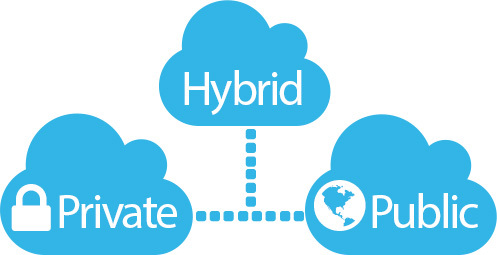 Hybrid Cloud: We can cover every possible permutation of private and public cloud. In your data center, ours, or both. Including managed on-site IT, and third-party cloud services. And integrate it all into a unified eco-system with consumer-style convenience in provisioning and billing. Business Continuity: We offer cloud-based back-up and disaster recovery and attach stringent service level guarantees to all commitments. We work with companies such as Datto and Barracuda to deliver business continuity solutions. Cloud Services from Microsoft: From home to business, from desktop to web and the devices in between, Office 365 delivers the tools to get work done. If you’re wondering if you should migrate your business to Office 365, or have already signed up for Office 365 but need help with your migration, we should probably talk. Hi-Link Technology Group is a Microsoft Partner with specific training and expertise in Office 365 consulting, implementation and migrations. Cost Reduction: Identifying Consolidation Opportunities, How to Maximize ROI. Technology Management: Cloud Planning, Support and Documentation. Communication & Collaboration: Email and Phone System Options, Team Workflow/Collaboration, Instant Messaging. Cloud Security & Compliance: Private Cloud vs. Public Cloud, SAS 70 Type I & II HIPAA, FISMA & PCI Compliant Systems. Disaster Recovery & Business Continuity: Availability (System Uptime), Recovery Options (System and Data).